You might want to travel to Bristol on your next vacation. You can use the vouchers at Wowcher, Ryanair, Zipvan, and other UK sellers. There are countless Bristol deals to choose from, depending on what you are looking for. Our massive community of bargain hunters will provide you with the best cheap Bristol offers, deals, and voucher codes. You won't have to leave home to use the latest Bristol voucher codes and do your bookings. Our deal hunters have searched long and hard to give you the best Bristol deals and special offers. Bath Rugby v Bristol Bears at Twickenham Stadium - Kids Go for Just £1! Great YH Bristol Hotel Deal! Bristol Harbour. The old Port of Bristol on the Avon River has been given a new and imaginative lease of life, its many wharves and warehouses restored or converted to contemporary uses. Traditionally known as the Floating Harbour, the area is now home to museums, galleries, exhibitions, the Bristol Aquarium, At-Bristol Science Center, and the Arnolfini visual arts, music, and performance center. St. Mary Redcliffe. When Queen Elizabeth I visited Bristol in 1574, she described St. Mary Redcliffe as "the fairest parish church in England." Built in the 13th century and extensively renovated in the 15th century in the Baroque style, the church is located on the south side of Floating Harbour and takes its name from the red cliffs on which it stands. With its slender, clustered pillars and reticulated vaulting, hexagonal porch, and richly decorated doorway, it perfectly displays the wealth of Bristol's rich merchants. Bristol Cathedral. Originally the church of the Saint Augustine Abbey, Bristol Cathedral took almost 600 years to achieve its present form. The east end, superbly rebuilt in the Decorated style by Abbot Knowle, dates from between 1298 and 1330. The central tower and transepts were completed in the 16th century, and the nave and towered west facade are from the 19th century. The church was elevated to cathedral status in 1542. Brunel's SS Great Britain. The SS Great Britain, the world's first iron-hulled passenger ship, lives on at the same dock from which the great vessel was launched in 1843. The work of the famed engineer Isambard Kingdom Brunel, it also was the first use of screw propellers on a ship. Located at Bristol's Great Western Dock, the ship is a testament to Brunel's engineering ingenuity. Today, you can stroll the ship's upper decks or explore below decks and peep into the luxury cabins of First Class passengers. Llandoger Trow. The famous triple-gabled, half-timbered Llandoger Trow building in King Street, built in 1664, is where Alexander Selkirk is said to have told the story of his shipwreck to Daniel Defoe, who immortalized the tale in Robinson Crusoe. The Llandoger Trow was also the model for the Admiral Benbow, the inn frequented by Long John Silver in Robert Louis Stevenson's Treasure Island. Carefully restored in 1991, the building is linked by an underpass to the Theatre Royal, home of the Bristol Old Vic and the oldest playhouse in England to have had its stage in continuous use. Bristol is a port city located to the South West England, United Kingdom. With the most number of students and educational centres, Bristol is a must experience in United Kingdom. OLD CITY. Known as the medieval heart of Bristol, it a place where transportation will never be a problem. You can reach your neighbourhood by bike, car or walking. You can also look see historical structures such as Bristol Cathedral, St. Nicholas Market and Queen Square in this district. CLIFTON. As one of the most exclusive in the neighbourhood of Bristol, Clifton offers different ranges of hotel accomodations for all types of visitors. You can also enjoy the avant-garde boutiques in the district. TEMPLE. This area includes the oldest and largest train station in the city, Temple Meads can get you to London and Manchester. This place is the visitor’s favourite place to stay in because of its transportation system. HARBOURSIDE. If you want to experience outdoor activities such as rowling and sailing, this district is a good choice to stay in for athletic and sports enthusiasts. 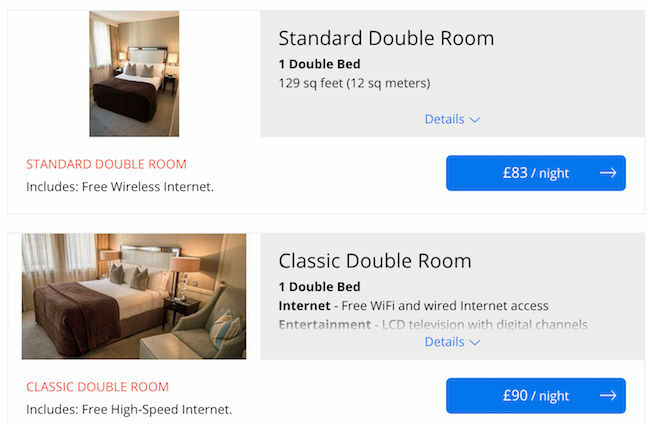 Get big savings on Bristol hotels offered at Travelzoo by using voucher codes you can get here. You can find all the best and the latest guest house Bristol and accomodation in Bristol UK here at Latest Deals. From cheap bed and breakfast Bristol and B&B Bristol bank holidays price drops, you will surely find the cheap accomodation Bristol and you can book online. We have a community of bargain hunters who are always looking out for the best possible cheap Bristol deals across the UK that will provide with some serious money off on your purchases. While our team of money-saving experts are regularly sharing essential tips and tricks to help you save on your instore and online shopping. Most UK retailers regularly have sale events where you can save as much as 50% off on a wide selection of Bristol deals. They also have seasonal clearance, flash sales , Black Friday, and Boxing Day that you can look forward to where a lot of their products are reduced to clear. However, you can maximise your savings and get additional discounts by using the latest Bristol discount codes available here. There are even voucher codes where you can reserve and book a flight with freebies. Get bargain offers from online retailers such as Groupon, Wowcher, Thomas Cook, Travelzoo, Expedia UK, and more. Remember that the promos and offers we have here are available for a limited time only, so grab them right away before they expire. Do not forget to bookmark this page and never miss out on fantastic savings and everyday low prices from your favourite UK retailers.